Since the walking dead has reached its sixth season final you may be wondering what other zombie series similar to TWD are there? Next week second season of kind of spinoff of The Walking Dead is continuing its second season named with much consideration Fear of the walking dead. I will return to that soon but now one and only Z nation. If you are looking for post zombie apocalypse tv series, one that differs from fist mainstream series in this genre, which we all know and some even like, The walking dead, look no further! Z nation has won me over due too its, even in cheaper setting, faster action, faster zombies, but also much more interesting twists and superior story arcs. Brilliant cast, great humor and off course great idea in Murphy character, played by Keith Allan. Also citizen Z, played by DJ Qualls, whom we all love in Supernatural is really well devised off difference. Kudos to writers, whole season 1s so far well rounded and since this one cant avoid being compared to TWD, much better bond and compassion is achieved with characters. Dont get me wrong i love characters in TWD. But lots of them dont make it. Here lots of them endure and i really hope this keeps on going. 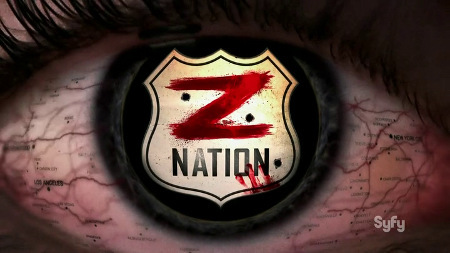 Z-Nation will be high on our watch list. So there you have it, American horror-drama-post-apocalyptic television series that airs on Syfy, created by Karl Schaefer and Craig Engler, and produced by The Asylum. Beside those two above we like rest of cast too, Kellita Smith as Roberta Warren, Michael Welch as Mack Thompson, Anastasia Baranova as Addy Carver, great character performance from Russell Hodgkinson as Doc, Pisay Pao as Cassandra, Nat Zang as 10K, Tom Everett Scott as 1st Sgt. Charles Garnett, Harold Perrineau as Lt. Mark Hammond in one episode. All thumbs up to all, keep up the good work.